Good food, good mood! Join us at Tekila's! 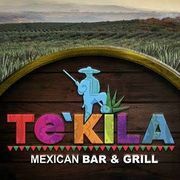 Rate and review Tekila Mexican Bar & Grill in Jackson, TN, United States! Share your experiences at Tekila Mexican Bar & Grill with your friends or discover more Mexican Restaurants in Jackson, TN, United States.